Animal rehabilitator Coker recounts the story of how she came to raise a runt fox kit. Juniper, who has a snaggletooth and lolling tongue, lives with Coker, as she cannot be safely released into the wild. 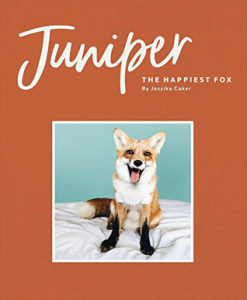 Coker’s Instagram pictures of Juniper soon went viral, and the fox became an internet star. Along with vibrant color photos, the book also includes many facts about foxes. Juniper is a cheerful, heartwarming true story of a human-animal bond. Animal lovers will pore over the colorful and whimsical photographs. 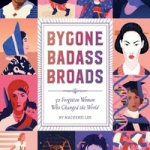 The accompanying text’s writing style is informational while remaining very accessible to many levels of readers. The pages contain ample white space, and each page contains fairly concise blocks of text. Those who loved A Little Book of Sloth by Lucy Cooke, who follow adorable animal Instagram accounts, or who binge-watch cute animal video compilations on YouTube will snap this up. Hideki is young Okinawan boy who has been sent to war by his elders. The Japanese, who have controlled Okinawa for years, give Hideki and his schoolmates grenades and send them off to defend the island. Each boy has two grenades: one for the enemy and one for himself. Ray is a young American Marine who’s wanted nothing more than to fight for freedom, but he soon discovers that war is not as simple as good versus evil. When the boys meet in combat, decisions made in a moment will alter both of their lives forever. Gratz has written a fast-paced work of historical fiction that also poses thought-provoking questions about war, the nature of the enemy, and if one side can truly be “right” in a conflict. The language is accessible, and the book includes a glossary of Okinawan terms at the back. Ray and Hideki have distinct voices, which makes the alternating narration easy to follow. The font is large and there is a comfortable amount of white space on the page. Some of the American Marines use a racial slur; this is addressed both in the historical note and afterward of the book. 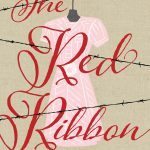 Fans of Gratz’s other historical fiction books, such as Code of Honor and Refugee, will clamor for this new title. 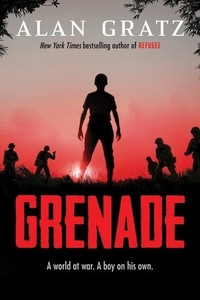 If teens enjoyed war stories like Invasion by Walter Dean Myers, Chris Lynch’s World War II and Vietnam series, and the 2017 film Dunkirk, Grenade would be a good match. 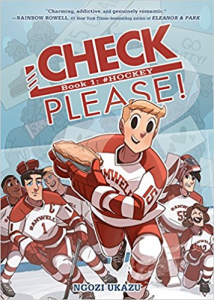 Book one of a graphic novel duology about a Southern college boy who bakes, plays hockey, and likes boys. Told through vlog-like and traditional graphic novel panels, Check, Please! tells the story of former figure skater (and vlogger), Eric Bittle, who moves from Georgia to Massachusetts to play on Samwell University’s hockey team. Bittle narrates the first two years of college on his vlog. Along the way he learns to get past his fear of checking, develops a crush on a teammate, and bakes dozens of baked goods. Based on the popular web series, Check, Please! : #Hockey showcases Bittle’s freshman and sophomore year in college and leaves readers with a major cliffhanger. With it’s vlog-like panel style, readers will feel as if they are watching the novel other than reading it. Sports action, partying, a diverse cast, and Bittle’s adorableness are sure to hit home with a wide range of readers. This book includes full color illustrations, bonus content in the back, and information on hockey terminology. 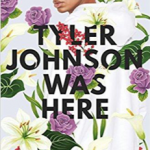 Older teens who are interested in sports, LGBTQ+ characters, and humor will gobble this book up in one sitting. For fans who are ready to graduate from Roller Girl by Victoria Jamieson. 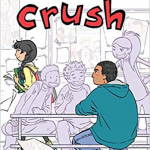 Pair with the movie Love, Simon and the graphic novel series Giant Days by John Allison. 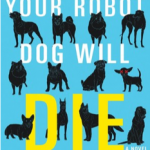 Quick Picks for Reluctant Readers Blogging Team @ YALSA's The Hub.